The following is a guest post about truck finance. If interested in submitting a guest post, please read my guest post policy and then contact me. As more Australians take on jobs where heavy lifting or a long haul on the road is required, truck finance is also growing in popularity. Truckie jobs can earn someone as much as $100,000 per annum on the east coast of Australia and up to $200,000 per year in the west, where job demand has increased at a rapid rate. Some companies in Western Australia are even offering a $10,000 incentive for east coast truck drivers to relocate and fill some of the jobs, highlighting the important role trucks play in a range of industries. But these financial incentives are significantly reduced for truck drivers who do not have their own vehicle, particularly if they have to pay rental to a company or have money deducted for their salaries. That’s where truck finance comes into play. While trucks can cost between $30,000 and $100,000 to buy outright, finance means that payment can be made in affordable instalments. But just as it is important to consider the features and costs of the actual truck, it is essential to shop around for the right truck finance. 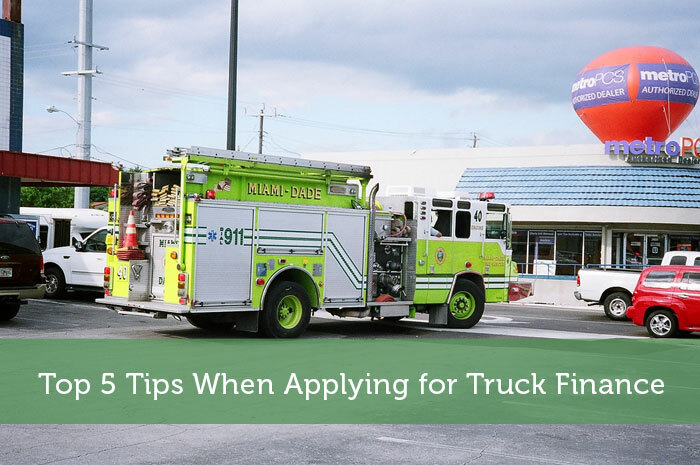 The following five tips will help make that process easier so that it is just a matter of finding the right truck and applying for a loan. The most important thing to consider with this type of finance is how affordable it will be to maintain. A truck is a major career investment, after all, and the cost means that monthly repayments for truck finance could be quite high. So before applying for any particular loan, it is a good idea to think about the affordability of repayments and how it will affect your overall finances. By thinking about this early on, you will be able to look for loans that fit with your circumstances and get a better deal as a result. There is a wide range of companies that offer truck finance, each claiming to be top of the game. But looking at a number of different truck finance options before settling on one lender will make it easier to see just how good a deal you can get. This could mean using comparison websites, consulting with truck finance experts, or conducting your own research into a few companies before focusing on a select few, but whatever approach is taken, it will help make sure you find the best possible deal. As well as considering the interest rates available for truck finance, there are other features that could affect the convenience of this type of loan. How flexible will the finance be if you lose work? What kinds of policies are there for additional repayments? How long can the loan term be? Are extensions available? Considering these types of questions when looking at different truck finance options will make it easier to narrow down the choices and get the best possible loan. While it may be easy and convenient to get truck finance for the full cost of the vehicle, having some money set aside for the purchase can be incredibly useful. This money could make it easier to get the truck finance you want, or help pay for essential extras like insurance and add-on features that you want for your truck. At the very least, it could cut down the amount of money you have to pay for the loan, so it is well worth having some savings on hand. Truck purchases are often a business expense, so there are different tax concessions that can be offered to make the investment more beneficial for sole traders and business owners. While it can be difficult to figure out the tax costs and deductions that can be made from a truck purchase, most truck finance services will have this information readily available upon enquiry. The more that is learned about the tax factors for truck purchases, the more informed a decision about finance can be, so it is worth researching or asking about this side of truck finance at some stage of the process. Truck finance covers a wide range of vehicles and industries, which means that the different options available can vary significantly. Taking these tips into consideration, however, will ensure that the process is as efficient and as affordable as possible right from the start. Very interesting post! I had no idea that you can actually buy your own truck. I wonder if that’s the same in the US? Yes, a very interesting post. I had never thought about the details of buying and owning your own rig. This is a pretty cool and unusual article!